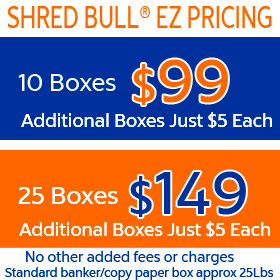 Shred Bull® Mobile Shredding - We promise you will get great service, at a great price. Our service area is all of Orange County, CA. Our 9-minute arrival window means that the Shred Bull® shredding truck will normally arrive within 9 minutes of your scheduled appointment time; This means you will not have to wait around half the day for your documents to get shredded. are available at NO extra charge! Fill out this no obligation form and within minutes we will give you a free quotation, answer questions, or schedule an appointment. We promise to be friendly and helpful. Service Overall rating: 5 out of 5 based on 54 reviews. How long does the IRS require you to keep records? Most of the time it’s 3 years…there are exceptions…. The length of time you should keep a document depends on the action, expense, or event which the document records. We service All Orange County!